"The Little Prince" is a contemporary adaptation of one of the most beloved book by Antoine de Saint­‐Exupéry. The film is an animated masterpiece combining old and new techniques in bringing the illustrations of the book to life. I love how the stop motion animation just perfectly captures the innocence and artistry of the illustrations turned into moving images. There is utmost joy seeing familiar images in the book slowly moving and it is as ifyou are brought back to the time you are reading 'Antoine de Saint-Exupéry's 'Le Petit Prince' all over again. It is also highly commendable that the movie experimented on integrating the book into a modern day setting and not tarnishing the magic of the literature. 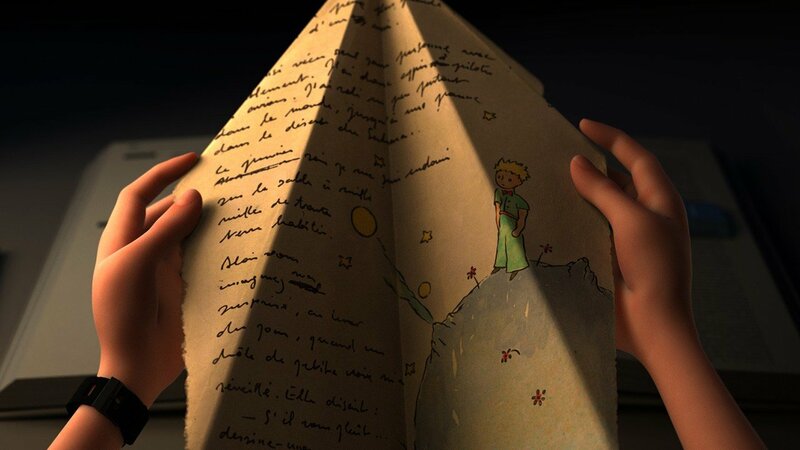 The writers and production team of "The Little Prince"surely made a wonderful weaving of what is loved from the novel to the animated feature. "The Little Prince" captured the trademark emotional grip of Disney•Pixar's animated feature, and yet the adaptation turns out very unique on its own. The film will surely be enjoyed by everyone. There are scenes that focuses on the family, and how growing-up could tear us from the significant things in life. A film that would surely enjoyed by children and grown-ups. may all of us never forget what is truly essential. 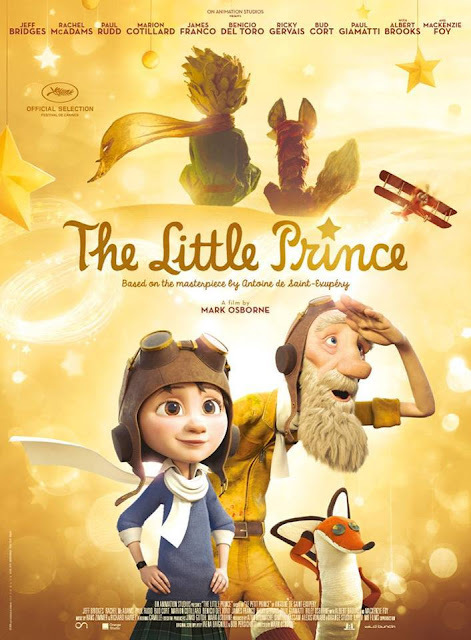 "The Little Prince" is a loving tribute inspired by Antoine de Saint­‐Exupéry’s hugely popular and beloved 1942 novella, which has been translated into more than 250 languages and has sold over 145 million copies worldwide. The film centres on the friendship between an eccentric old Aviator (Jeff Bridges) and the very grown­‐up young girl who moves in to the house next door with her extremely grown­‐up Mother (Rachel McAdams). Through the pages of the Aviator’s book and his drawings, the Little Girl (Mackenzie Foy) learns the story of how he long ago crashed in a desert and met the Little Prince (Riley Osborne), an enigmatic boy from a distant planet. The Aviator’s experiences and the tale of the Little Prince’s travels to other worlds bring the Little Girl and the Aviator closer as they embark on a remarkable adventure together. Antoine de Saint-Exupery’s beloved ‘The Little Prince’ comes the first-ever animated film. 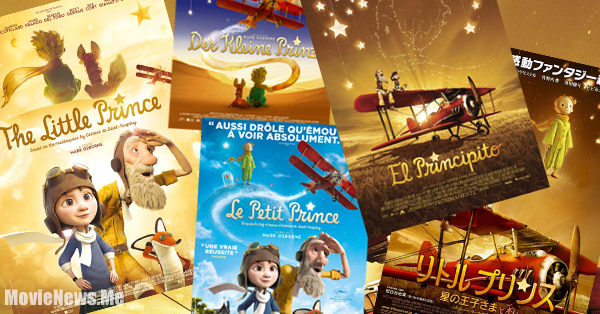 'Antoine de Saint-Exupéry's 'Le Petit Prince' ‘The Little Prince’ International Posters united online! One of the biggest animated movies to launch from Europe this year, this innovative project is directed and produced by Mark Osborne, who co­‐ directed DreamWorks’ Oscar­‐nominated movie “Kung Fu Panda”. An international team of extremely talented animated feature film professionals was drawn to both Paris and Montreal to create the film, which features a stellar voice cast of international actors, including Jeff Bridges (The Aviator), Rachel McAdams (The Mother), Marion Cotillard (The Rose), James Franco (The Fox), Albert Brooks (The Businessman), Mackenzie Foy (The Little Girl), Benicio Del Toro (The Snake), Ricky Gervais (The Conceited Man), Paul Giamatti (The Teacher), Bud Cort (The King) and Riley Osborne (The Little Prince). A beautifully crafted animated film, inspired by Antoine de Saint­‐Exupéry’s beloved 1942 masterpiece, "The Little Prince" will be released in theatres across the Philippines on December 2 by Captive Cinema.